One of the world’s most scenic coastal drives is without a doubt the Great Ocean Road in Victoria, Australia. 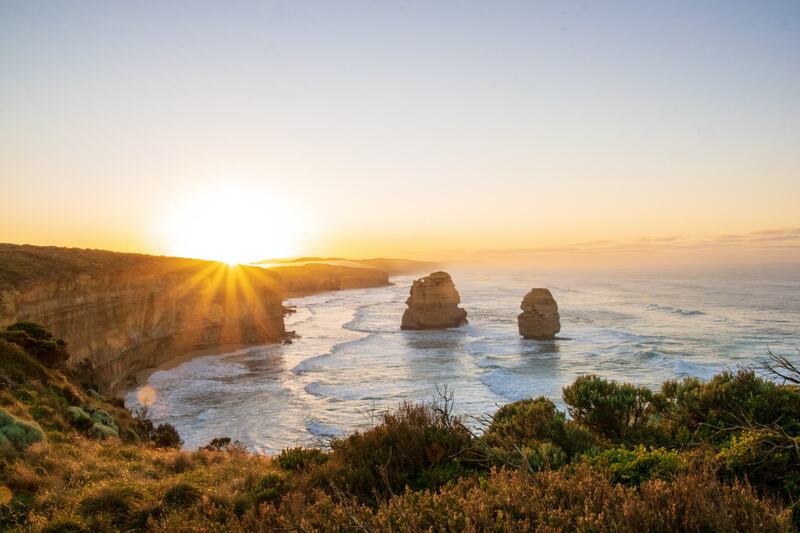 With towering cliffs, iconic surf breaks, misty waterfalls and an abundance of native Australian wildlife, there’s always something to do along the Great Ocean Road. The iconic drive is long and windy and can take several hours to get from one end to the other, especially if you’re stopping to explore along the way. 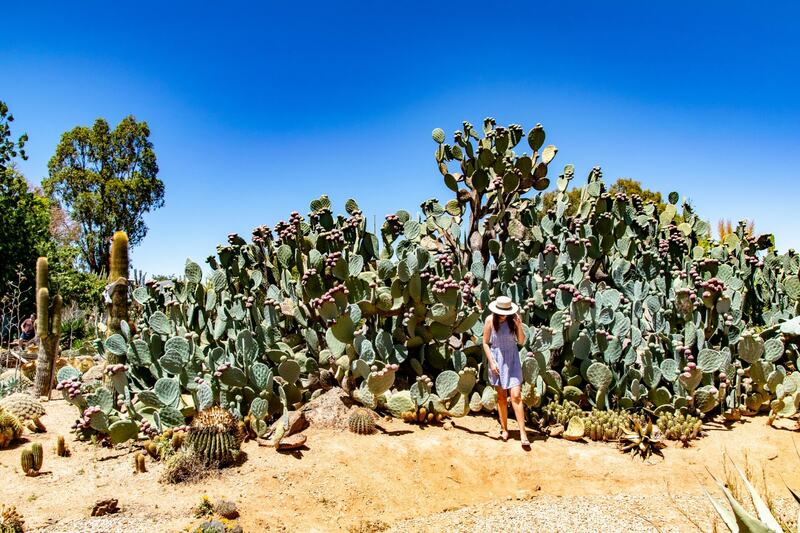 So if you have the time, it’s best to commit a few days to exploring this beautiful stretch of road to make sure you don’t miss out on anything. 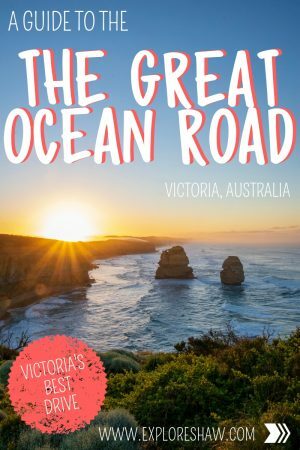 Check out our ultimate Great Ocean Road guide for your adventure. 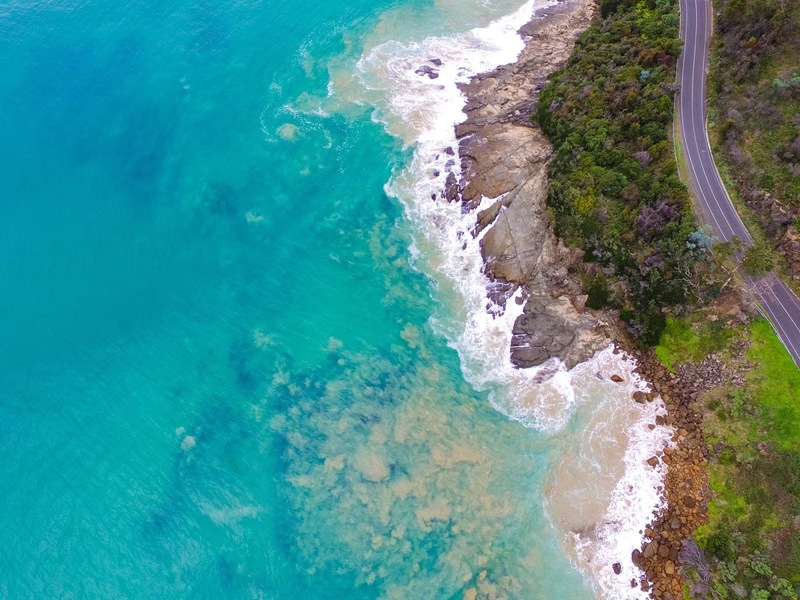 The summer months, between December and March are definitely the best time to visit the Great Ocean Road, when the weather is warmer and the sun is shining. It’s usually a little bit cooler along the Great Ocean Road than in Melbourne, so pack lots of warm clothes and jackets if you’re visiting during the winter months. There are also lifeguards patrolling the surf beaches during the summer time, keeping the beaches safer for anyone visiting and planning to swim. The first stop along the Great Ocean Road is Torquay, the home to the Rip Curl Pro and more surf shops then you could imagine. Close to Bells Beach and Jan Juc, the surfing hotspots in Victoria, Torquay is the perfect place to get a beginners surf lesson, a woodfire pizza for lunch and all the outlet surf shopping you would ever need. Torquay is located about an hour and twenty minutes away from Melbourne. Torquay Foreshore Caravan Park and Torquay Holiday Park offer the best options for anyone camping and caravanning through Torquay. For a luxury stay in Torquay check out Peppers The Sands Resort, Wyndham Resort, and RACV Torquay Resort. For all the more unique holidays houses and other accommodation options, check out the best places to stay in Torquay. Hit the close by surf beaches Bells Beach and Jan Juc, infamous for their fantastic surf conditions and annual surf competitions like the Rip Curl Pro held at Bells Beach in April each year. Head to Surf City where you can find all the biggest surf brands, along with their warehouse outlet stores that can offer deals as good as 60% off the RRP. Learn to surf at the Go Ride A Wave Surf School. There are locations all along the Great Ocean Road, but Torquay might just be their biggest branch. Take a scenic flight, or for the super brave, jump out of a plane and go skydiving with Tiger Moth World. 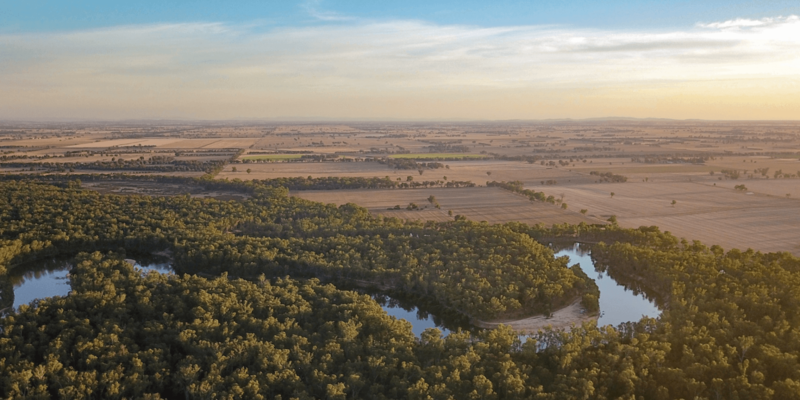 Offering scenic flights all over the Victorian coastline, tandem skydiving and even aerobatic flights, there’s definitely something to get your blood pumping here. 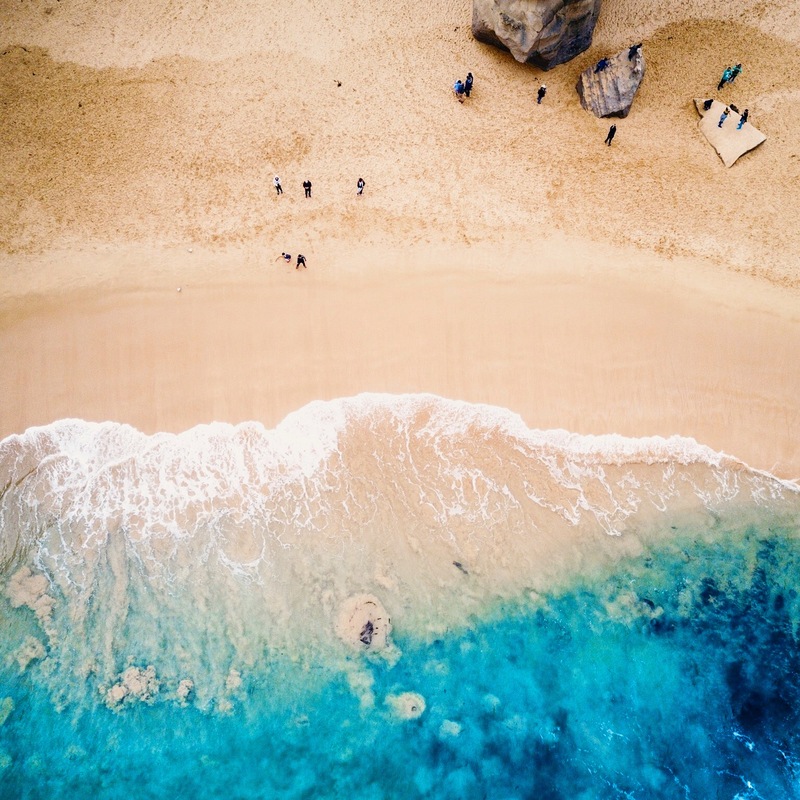 Visit the Australian National Surfing Museum to learn all about the history of surfing in Australia and the story of the rich beach culture and surfing heritage Australia has become known for. If you’re feeling a bit naughty, head to Point Impossible Beach, where clothing is option and the beach is hidden by tall grass-covered sand dunes. Stock up on healthy foods at the Torquay Farmers Market, open every Sunday from 8:30am to 1pm at the Surf Coast Shire Offices car park. Enjoy an afternoon of high tea at the RACV Resort, available each week day from 2pm to 4pm. There are all different kinds of high tea packages available from $30AUD – $80AUD per person. Reservations are required at least 24 hours in advance. Rent an electric bike from Xaolfi Bikes for a very different way to explore Torquay. They’re a great way to get around the town and reach all the best hidden spots. Anglesea hold a soft spot for me because my family would holiday there a lot when I was a kid. 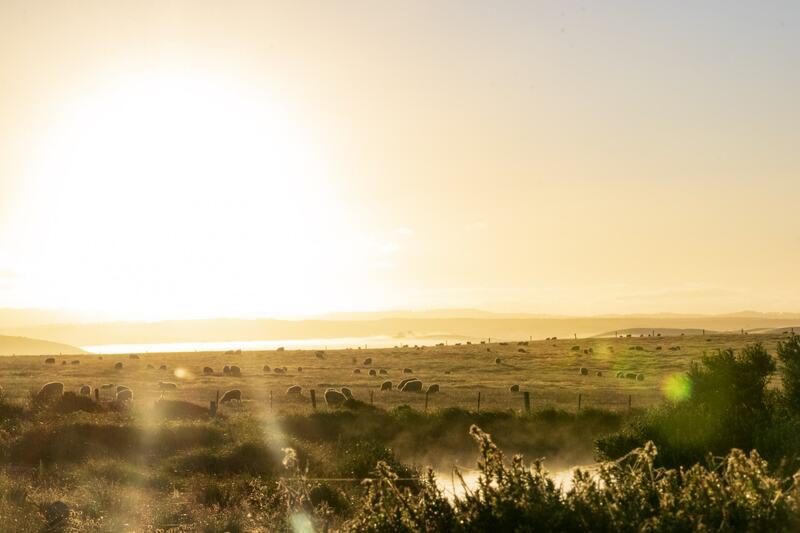 The Anglesea Golf Course and its surrounding streets are home to more kangaroos than you’ve have ever seen in the wild, hopping all over the place and enjoying the perfect grass on the greens. 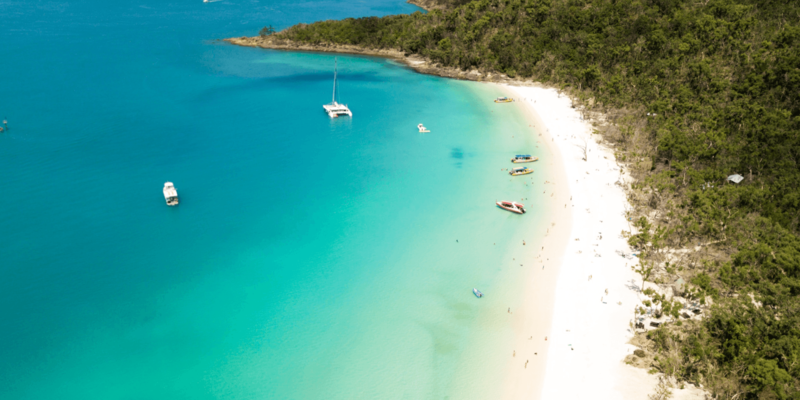 The coastal town is also home to bustling markets, riverside picnic spots and all kinds of water activities such as canoeing, paddle boating and speed boating that you can try out for the day. Anglesea is about an hour and a half drive from Melbourne. 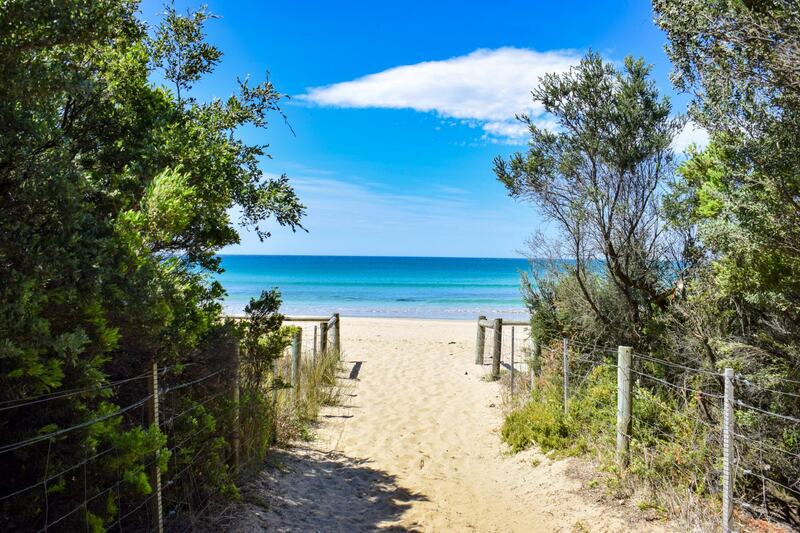 Head to the Anglesea Family Caravan Park for camp spots right along the beach and bushland. 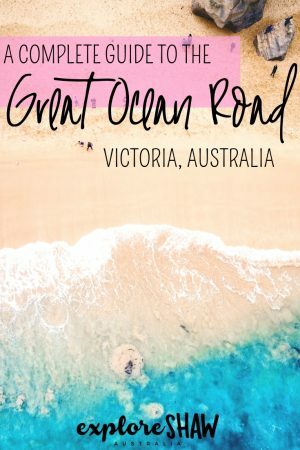 The Great Ocean Road Resort offers luxury apartments and suites just a short walk from the beach and the main street in town. Visit HomeAway to find the best holiday houses for your visit. Try your hand at a game of golf at the Anglesea Golf Club. 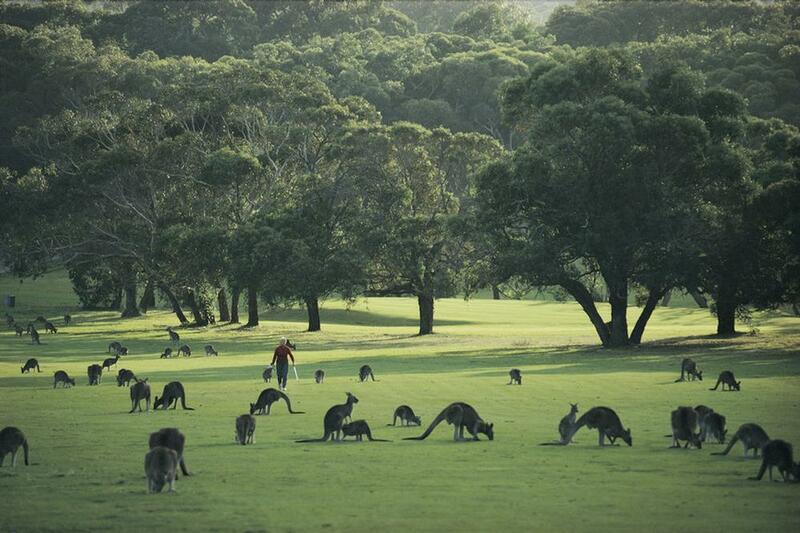 Open seven days a week, the golf club is surrounded by beautiful bushland and is home to hundreds of local kangaroos! The golf club also offers Guided Kangaroo Tours so that you can get up close and personal with some of Australia’s favourite animals. Tours run between 10am and 4pm for about 30 minutes. Take a walk on the beach right down to the Anglesea River, where the river runs right into the Ocean. Head to the Great Ocean Road Chocolaterie and Ice Creamery for a sugary fix. With free entry, free chocolate and ice cream tasting and a huge showroom full of chocolate to tempt you, it’s a must visit if you’re in the area. Visit the Anglesea Riverbank Market to shop up a storm, with over 150 market stalls and beautiful handmade local goods. The market is on at least one Sunday a month, but somewhat sporadically, so make sure you check out when it’s on before you go. Aireys Inlet is a sleepy little town based in the middle of it’s two big sisters, Anglesea and Lorne. 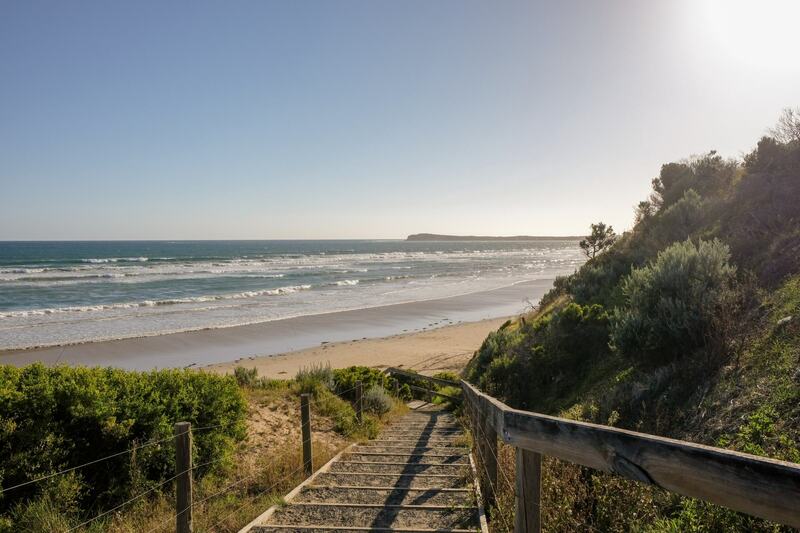 It’s laid back country town vibe can often leave it forgotten and overlooked on a Great Ocean Road itinerary, but it has a certain coastal town charm all of it’s own. Aireys Inlet is about an hour and forty minutes out of Melbourne. Aireys Inlet is a super small town, with pretty much just a beautiful beach, a local pub and a corner shop on offer. If you’d prefer to stay in more of an actual town, check out the options in Anglesea or Lorne on either side. Check out the Aireys Inlet Holiday Park if you’re planning on camping or caravanning. For luxury accommodation, try the Aireys Inlet Getaway Resort. The main attraction in Aireys Inlet is the Split Point Lighthouse, built in 1891 and perched on the cliffs 70 metres about sea levels. You can climb to the top of the lighthouse to check out the sweeping views over the ocean and the surround region. There are tours every hour between 11am and 2pm each day that run for about 30 to 40 minutes, with extra tours running on the holiday weekends and during the summer time. 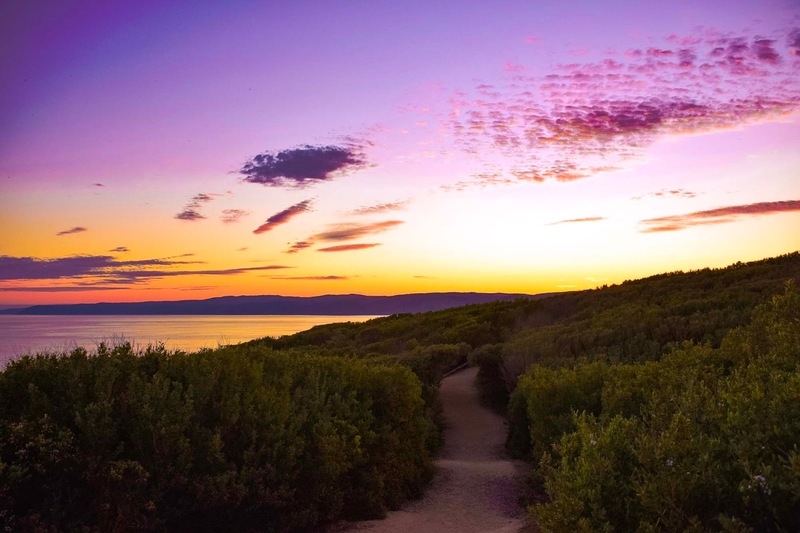 Aireys Inlet also offers countless cliff top walking tracks, a beautiful beach sheltered by rocky caves and tall limestone cliffs and countless rock pools to explore. Spend an afternoon at the Great Ocean Road Mini Golf playing either regular mini golf, or you can have a try of their virtual golf simulator with over 22 courses available. 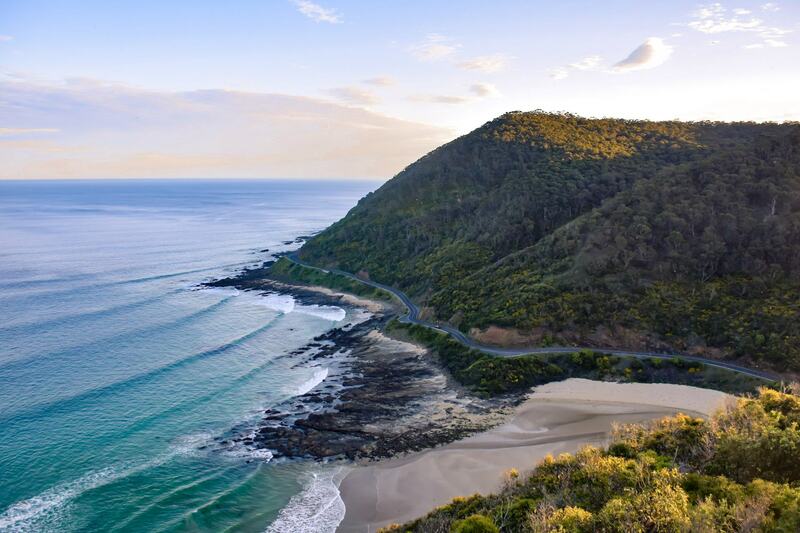 Arguably the most popular destination along the Great Ocean Road is Lorne. 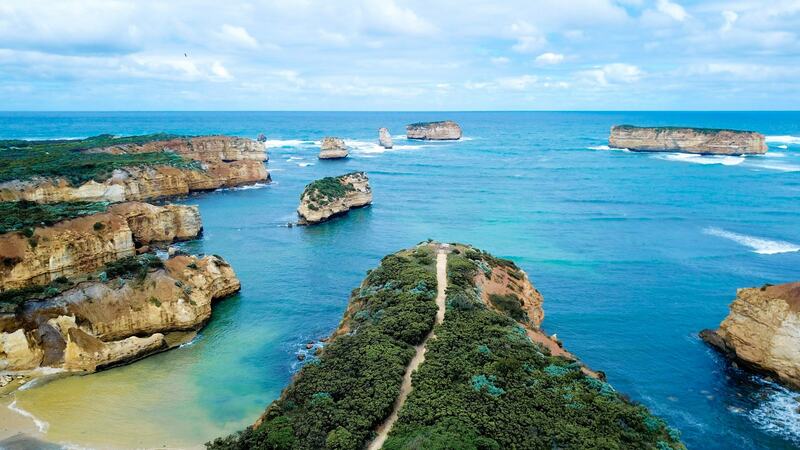 About a two hour drive from Melbourne, it is a favourite holiday spot for many visitors to the Great Ocean Road. Whether you’re staying overnight or just passing through, take the time to wander down Lorne’s main shopping strip filled with boutique gift stores, cellars, restaurants and galleries. The beach at Lorne is one of the best along the Great Ocean Road, with thousands of locals and tourist flocking to holiday here in the summer time. If you’re camping or caravanning check out Lorne Foreshore Caravan Park or Cumberland River Holiday Park. Have a very unique experience and stay in a renovated airstream van in the Lorne Hinterland. This glamping experience is unlike any other and cleverly names Love Is In The Airstream. For a luxury stay, check out Cumberland Lorne Resort or the Mantra Lorne. There are also lots of other hotels, motels and backpacking options in Lorne, for stays of all budgets and styles. Check out all the best places to stay in Lorne HERE. 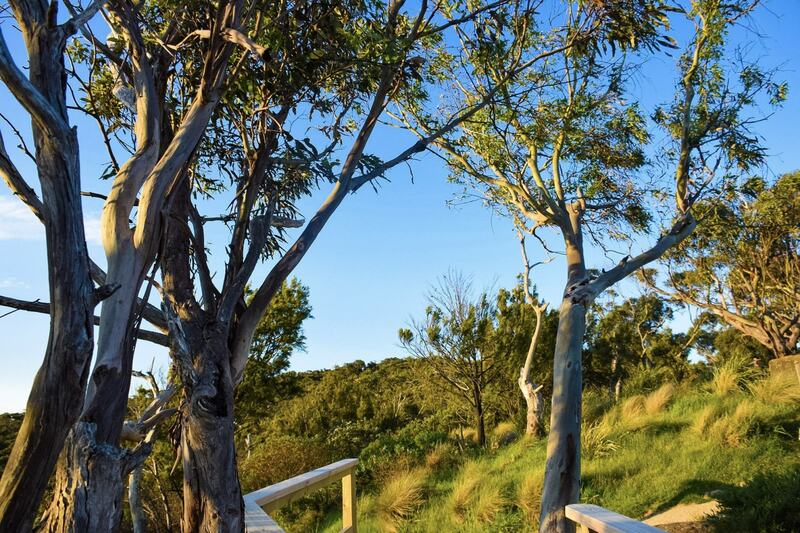 Take a hike along the Cumberland River Walk to Jebb’s Pool to take in more of the Great Ocean Road’s bushland. The track is about 6km return. Be prepared for lots of river crossings and climbing over some rocks around Cumberland Falls. Visit Teddys Lookout for beautiful views over the Great Ocean Road, Saint George River and the surrounding mountain ranges. Check out Erskine Falls, perhaps the most popular waterfall in Lorne and along the Great Ocean Road. It’s accessible by a steep flight of stairs and a careful walk over a rocky landscape, with the falls plunging 30 metres into the lush tree-fern gully of the Erskine River. Sheoak Falls and Swallow Cave is also a popular waterfall spot to check out in Lorne. It’s easily accessible, with just a short 1km walk from the car park, and you can spot the waterfall in as little as 10 minutes. Lorne is home to a countless number of waterfalls! Some of the others in the area include Cora Lynn Cascades, Won Wondah Falls, Henderson Falls, Phantom Falls and Kalimna Falls. Located along the Otway Coast, Kennett River is known for being one of the best places in Australia to see koalas in the wild. There are many large colonies of koalas that live in Kennett River, so you’re almost guaranteed close sightings in this area. Kennett River is about a two and a half hour drive from Melbourne. 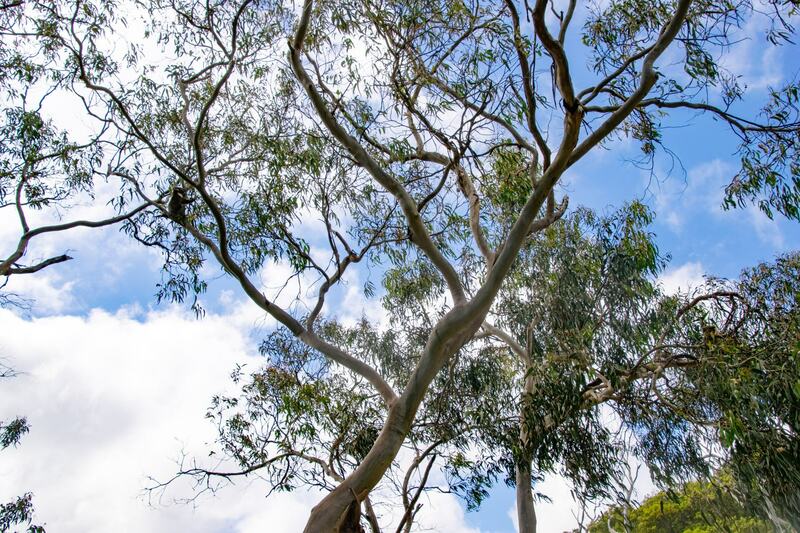 The Kennett River Holiday Park sits just in front of the koala walk, and visitors staying here regularly wake up in the morning to spot koalas sitting on the low lying branches around the park. It’s a great place to stay for Koala spotting, or if you just want to stay at this part of the Great Ocean Road. Around Kennett River and Great Otway National Park there are also several free camping options, including Wye River Road Camping Area and Sharps Camping Area. 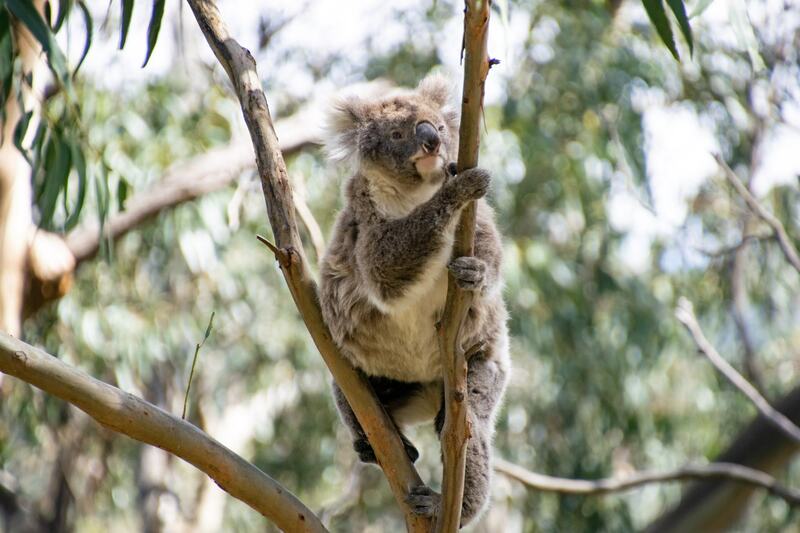 The main attraction in Kennett River is the Koala Walk that starts just behind the Kennett River Caravan Park and continues around Grey River Road. 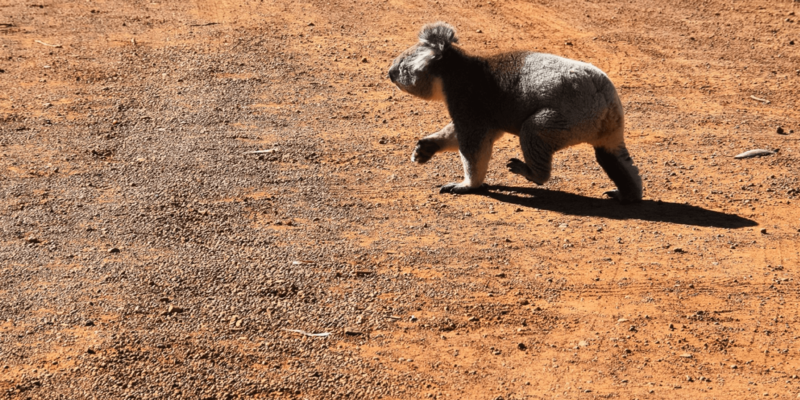 You are able to walk or drive along the Koala Walk, but keep any eye out for tourists wandering straight out onto the road – there is not a lot of car/road awareness going on with tourists in this area. 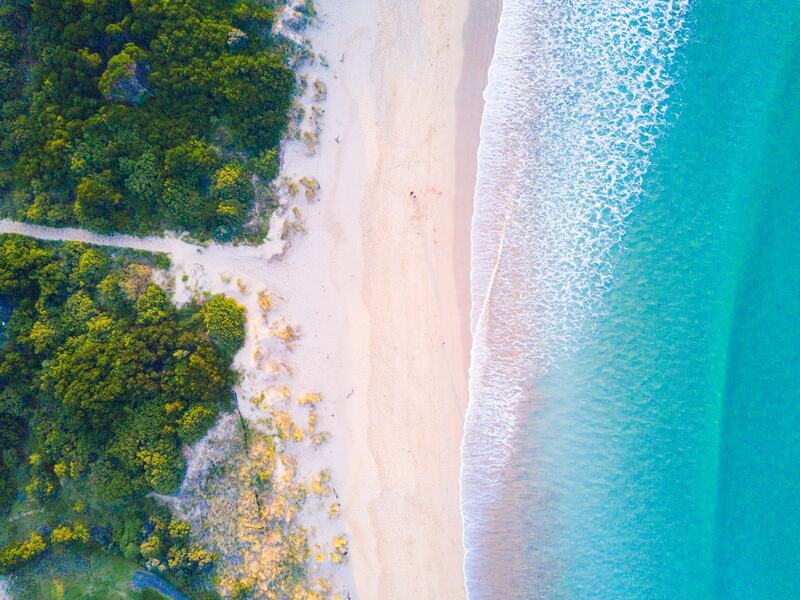 Considered the gateway to the Otways, Apollo Bay is a beautiful seaside town that might just be where the forest of the Otways meets the ocean. The town lies in a small gully, surrounded by mountains at the foot of the Otways and is the perfect place to stay if you want to explore more of this region. Apollo Bay is about two hours and forty minutes if you take the inland route from Melbourne, or just over three hours if you’re driving along the Great Ocean Road. Apollo Bay is absolutely overflowing with cute little holiday houses to rent for your stay. Lots of them are secluded, unique and a beautiful retreat for the weekend. Check out HomeAway for all the different holiday house options. 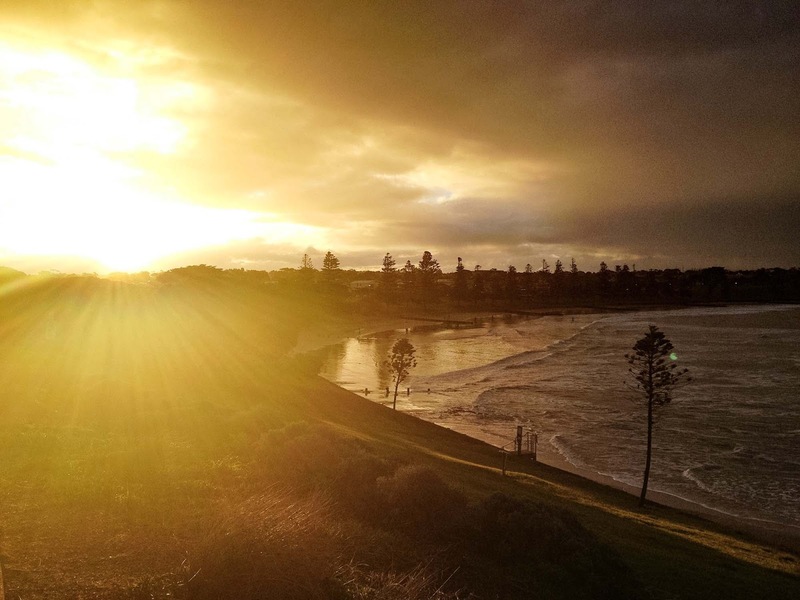 Check out the Apollo Bay Holiday Park and Big4 Apollo Bay Pisces Holiday Park if you’re camping or caravanning through the area. 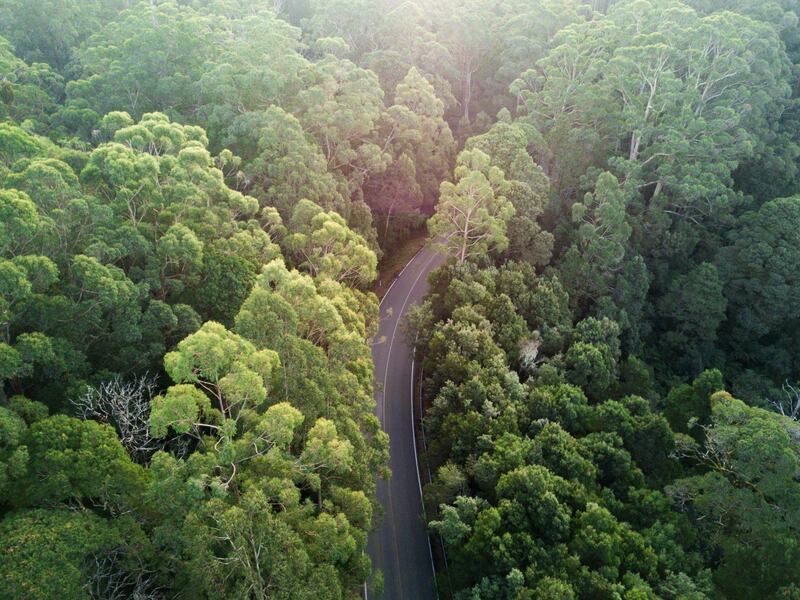 Explore Otway National Park. The national park actually stretches from Torquay all the way to Princetown, but Apollo Bay is one of the best places to explore the park and all it’s glory. If you’re into hiking, this is the ultimate. 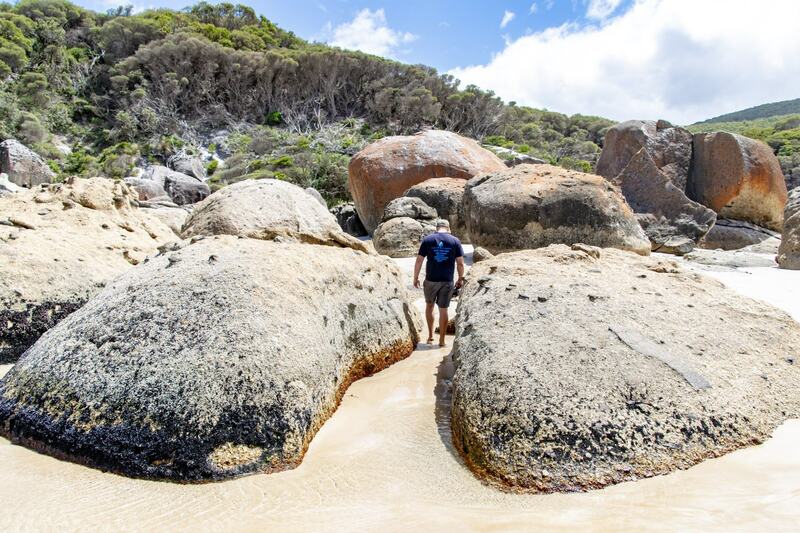 The Great Ocean Walk is 100km long, winding from Apollo Bay all the way to the 12 Apostles. Not for the faint of heart, this hike takes about 8 days and is for experienced hikers only, with free camping available along the path. For a little bit of adventure, check out the Otway Fly, offering treetop adventures in the middle of the rainforest. You can take a rainforest walk approximately 30 metres up on a steel structured canopy walkway, which is the longest and tallest walkway of its type in the world. There is also a zipline tour which includes eight cloud stations and six flights around the treetops. 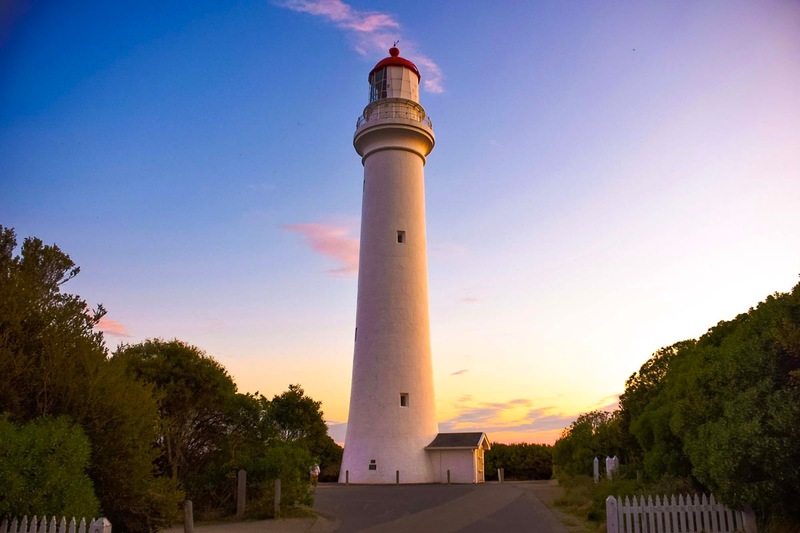 Just out of Apollo Bay you will find Cape Otway, home to the Cape Otway Light Station and known as the southern tip of Victoria. 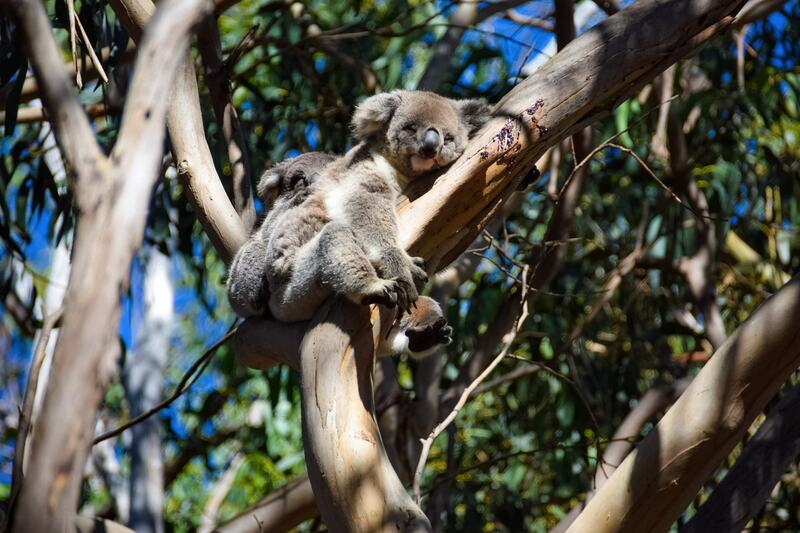 Climb to the top of the lighthouse for some great views and keep an eye out for all the koalas living in the area. Check out the lookouts in the area, including Mt Defiance, Cape Patton, Marriners and The Gable for stunning views over this unique landscape. A small town, located far down the Great Ocean Road, Port Campbell is the place to stay if you’re visiting the 12 Apostles. It’s the perfect place to base yourself if you’re exploring more of this far end of the Great Ocean Road, and perfect if you’re hoping to visit the iconic rock formations in the area at sunrise. Port Campbell is about a three hour drive from Melbourne if you head straight there along the inland route. Along the Great Ocean Road it talks about four and a half hours to get to Port Campbell from Melbourne. The NRMA Port Campbell Holiday Park is a great spot to stay in Port Campbell, with camping sites, cabins and villas to stay in. Check into Sea Foam Villas for 1 to 3 bedroom accommodation options and a little bit of luxury in this small coastal town. The local pub – the Port Campbell Hotel also offers basic hotel rooms to stay at, which is a great easy option if you’re planning to have a night at the pub or you’re getting into town late at night. There are also a number of holiday houses and hotel options in the area, check out the best place to stay in Port Campbell. Head to the infamous 12 Apostles to visit one of the Great Ocean Road’s most iconic attractions. There are only eight of the apostles left these days, with several of them having eroded and crashed into the ocean. Get even closer to some of the apostles with a walk down the Gibson Steps. This beach is closed at times throughout the year, due to extreme whether and winds, so it’s always a good idea to check before you go. 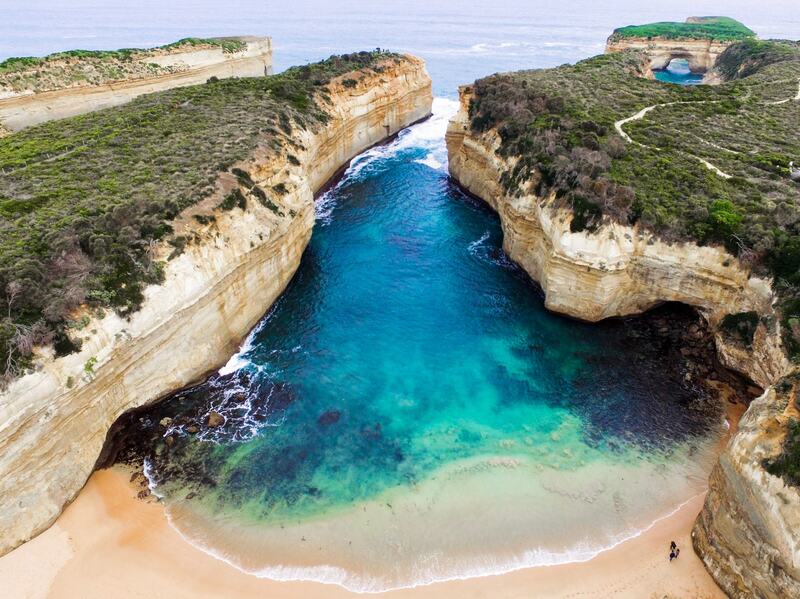 Also in the area is Loch Ard Gorge, a beautiful secluded beach with an interesting history. It’s a beautiful beach to spend the day at the end of the Great Ocean Road. Check out the other infamous rock formations in the area, including The Grotto, The Arch and the London Bridge, which has great viewing platforms with sweeping views. Drive a little further up the Great Ocean Road to check out the Bay of Islands. Often overlooked due to it’s 12 Apostle neighbours, the Bay of Islands is just as beautiful with it’s own stunning rock formations and widespread landscapes. Explore under the sea of the Great Ocean Road in The Arches Marine Sanctuary, home to a maze of limestone canyons, caves and arches all around 19 to 25m under the waves. Always swim between the flags at surf beaches along the Great Ocean Road. Especially if you’re not a strong or confident swimmer. Rips in the water are very prevalent in this area, and if you’re swimming in an unsafe area you could be swept into danger before you know it. Be careful driving after dark or early in the morning as the Great Ocean Road is home to lots of Australian wildlife who like to come out and hop around after the sun goes down. To avoid accidents with animals always stay alert and keep an eye out for any furry friends on the road. If you’re hoping to spot any wildlife on your trip, make sure you’re out and about exploring early in the morning. This is when koalas and kangaroos are the most active and often still hanging around near the beaches and lower lying tree branches. Make sure you wake up for at least one Great Ocean Road sunrise. With so many different lookouts and view points to check out a sunrise from, you won’t be disappointed! 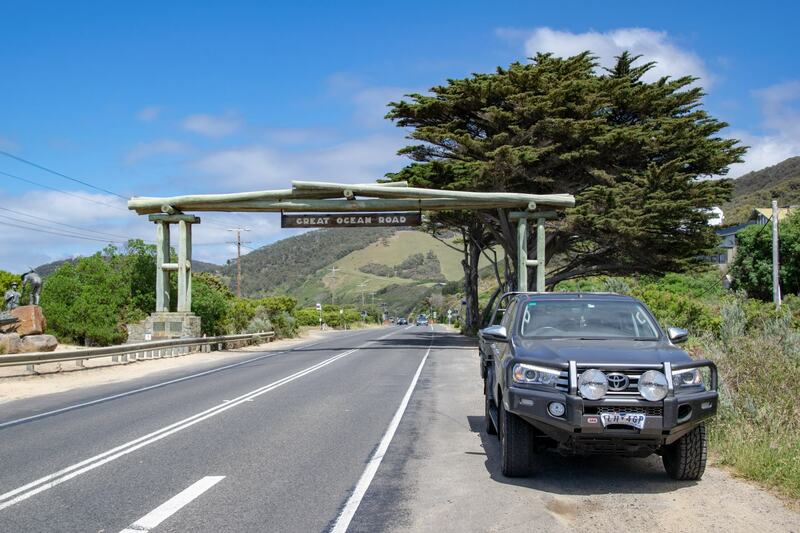 Where is your favourite place on the Great Ocean Road?